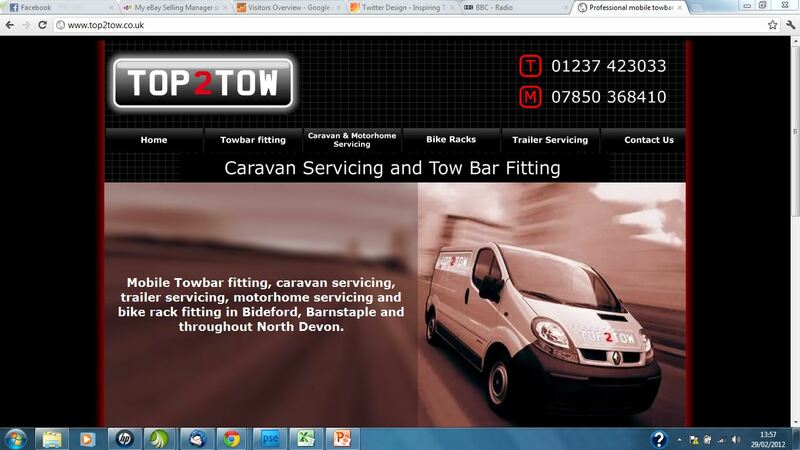 Our long-term clients, Top2Tow, offer mobile Towbar fitting, caravan servicing, trailer servicing, motorhome servicing and bike rack fitting in Bideford, Barnstaple and throughout North Devon. Happy with their existing website design but unsatisfied by their performance on search engines and therefore lack of page views, Top2Tow’s owner, Adrian Stirland, approached us to help. We continue to provide ongoing optimisation services to Top2Tow which ensures that they reign over Google for their key word searches.